If you are looking for simplicity when it comes to your heating and air conditioning system, a HVAC package unit might be just what you need. HVAC package units, also known as combination heating and air conditioning units, are composed of an air conditioning system and a heating system that are combined all in one unit. Lets get into some of the benefits of these heating and air package units. As stated earlier, a combination heating and air conditioning unit is as simple as you can get when it comes to your HVAC system. The cooling system and the heating system are all in one place so accessibility is very simple. In comparison, a typical split system will usually have the ac unit outside and the furnace located inside. So the two systems would be located in different areas. Package units have both systems in one location which will save you space and money. Another benefit is that the noise level caused by the unit itself isn’t as loud within the home or business with a packaged unit. This is because all of the components are located outside. And to those who would prefer that the service technicians who work on their heating and air unit to do their work outside and not inside, a package unit provides this reality as well. These package units are especially valuable if there isn’t enough space inside the home or business for the heating component (gas furnace, etc.). Normally, a HVAC package unit will be installed next to the home or business on a concrete slab or on the roof. This can be considered a benefit to some, and a drawback for others. It really depends on your situation and personal taste. Ready to explore the different types of HVAC package units? These package systems, also referred to as a gas pack unit, are easily the most common here around the Jackson, TN area. These package units consist of an air conditioner, an evaporator coil and a gas furnace. So you will get the cooling of a high efficiency air conditioner and the heating power of a gas furnace. This is the best of both worlds. This setup is great for any climate, but especially for the more colder climates. This sort of package unit will contain an air conditioner and all of its essential components and parts all in one unit and location. Heat strips can also be added to the system to provide heating when needed. This type of system is only recommended in warmer climates where it doesn’t get very cold. Some locations that would be applicable for this type of setup would be South Florida and South Texas where the heating season is very mild and brief. 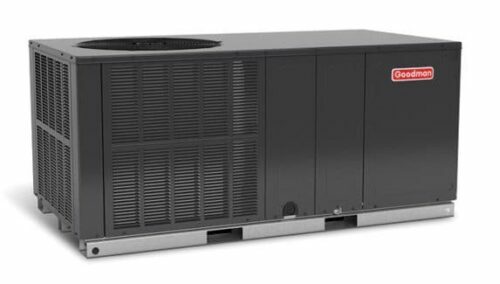 This HVAC package unit is great for climates that do not regularly drop below freezing. 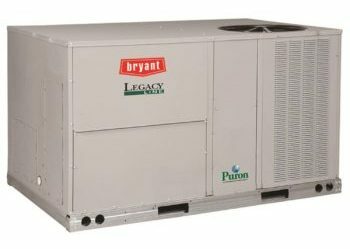 These systems include a heat pump and an air handler all in one unit. Heating and cooling are provided all electrically. These systems are like an ac unit with heat built in. These package units are common throughout the country, but they are not recommended in extreme cold climates. A dual fuel package unit contains both a heat pump and a furnace. With this hybrid HVAC system the heat pump will supply the air conditioning and the heating, until the temperature gets too low. If the temperature drops below 20-25 degrees, then the furnace will kick on and provide the heating. This is meant to provide an ultra efficient heating system. This system can be used in any climate, but is recommended for colder climates that regularly drop below 20 degrees. If you have more questions or would like a free estimate on a package unit, feel free to give us a call at 731-300-1030 or fill out the Replacement Unit Quote Form below and we will email you back with an estimate. 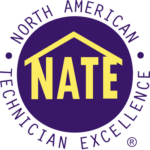 You can also check out some of our HVAC unit cost estimates that we have provided so that our customers have a general idea of cost for a new unit. We serve Jackson, TN and the surrounding areas. At Cagle Service we deliver, install and warranty your new unit. And remember, your satisfaction is our goal!